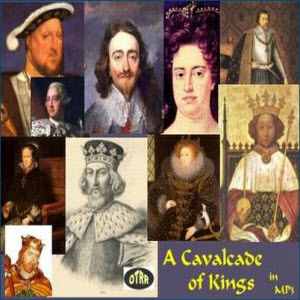 A Cavalcade of Kings is historical stories of the British Monarchy. Live the wonderful and highly entertaining history of the British Isles through battles, marriages, and other royal roguery beginning in the 10th century up to the reign of Queen Victoria. We love and adore you Sovereign Elizabeth Regina and your unwavering dedication and service to the United Kingdom and humanity! but another Gotha-Abramovich-Dracul on the throne of England! One was enough with Queen Mary! No man woman or child in The United Kingdom should have to address anyone one as Lord in this day and age. That includes Property owners, property managers and property supervisors. The only one a man, woman or child should address as Lord is, if you are a Christian in good standing is our Lord Jesus Christ I. ABOLISH THE MONARCHY !!!!!! and we look forward to a Radio BBC series on the drama and melodrama behind the Royal cloaks of your magnificent reign. The House and Clan of Sinclair-Romanoff. Alex and Joseph.